So that you can maximise your tax refund each year, we have put together a list for many different occupations and investments. Our tax deduction lists are written by our qualified and experienced accountants and show you all of the tax deductions you can claim in your specific industry. Remember, as a general rule, no receipt, no claim. Always keep your receipts and write the amount and date on each one, just in case it fades. These are to be used as a guide only. Everyone’s circumstances are different, so do not solely rely on these statements. I have to buy tools, boots and equipment for my job. What can I claim these on my tax? Yes, you are able to claim expenditure incurred in replacing, insuring and repairing tools of trade that you use for earning your income. The amount you can claim will depend on what records you have kept and to what extent you use it for work. My job requires me to keep my knowledge up to date and I buy books and journals. Can I claim them all? If you need technical books, trade books or journals to fulfil your job function efficiently, then you can claim the cost. This may also include internet costs, but you need to keep a log of the time used. Can I claim a deduction for sun protection and other safety items? A deduction is available for outdoor workers/truck drivers who buy sunscreen lotion, sunglasses and hats for use at work. The claim must be substantiated and apportioned for private use. I have a job which requires me to be on the road a great deal and I have to use my own car. What do I need to do so that I can claim a tax deduction for my car? There are four different methods for claiming work related motor vehicle expenses and each have different record keeping requirements. All generally require a log book, available from any newsagency. Cents per kilometre: Here you must record start and end speedo reading for each trip, the total is your claim for that journey. The maximum that can be claimed is 5000km per year. You don’t need to keep receipts for expenses, just record the kilometres used. Log Book Method: Here it needs to be a bit more detailed. You need to record opening and closing speedo readings for every work related journey, Don’t record personal journeys. This must be done for 12 consecutive weeks. You also need to record the speedo at 1 July and 30 June each year. We then work out what percentage is work versus private. That percentage is then claimed for the total running costs of your car. These expenses include rego, insurance, tyres, repairs petrol and interest. But only the work related percentage. I am expected to maintain a well groomed appearance at work. Can I claim these as tax deductions? Expenditure on personal grooming and haircuts are generally not deductible. There are exceptions for some taxpayers involved in the performing arts field. My employer expects me to wear specific clothing for work? What would I be able to claim on my tax? Compulsory uniforms are generally deductible provided they identify you as an employee of that organisation or in a specific occupation. A requirement to simply wear black and whites in a pub is not enough to make the clothing deductible. Nor is a requirement to wear a store’s own brand of clothing (they are still conventional clothing and not tax deductible). Provided that the clothing is deductible then you may also claim maintenance costs (laundry, dry cleaning and repairs). I work in a fashion clothing store and am required to wear the clothing that is sold in the shop. The garments have the manufacturer’s logo on as part of the design and I buy them at a discount. Can I claim the cost of this clothing? Fashion clothing is not tax deductible even if your employer requires you to wear it. Because the logo is a part of the design of the clothing and does not in itself identify you as an employee it will still not be claimable. I keep a room set aside in my house for a home office and would like to claim some expenses. If a taxpayer carries on all or part of their employment activities from home and has a separate office set aside to do the work, then some portion of the running expenses can be deducted. A diary should be kept for a minimum of 4 weeks stating hours the office was used for work related purposes. I need to have a telephone for making and receiving business calls and would like to know what I can claim. You can only claim the proportion that is work related of your home or mobile phone. We recommend highlighting work calls on your bill for 3 months. That percentage of call from the total can be used as an average. If it’s your home phone, then you would need to keep a log of all work calls. This year I bought a laptop and new mobile phone which I need for my work. Can I claim the cost of these on my tax return? Items like this that you buy for use in your job can be claimed in your return. However, since the cost of these items is most likely to be more than $300 each you spread your claim over the useful life of the items (depreciation) and only the work related proportion is claimable. You should keep a log of work related use for a period of at least four weeks for each item to determine the proportion that you can claim. I recently bought an iPad and have been using it for work. Will I be able to claim a tax deduction for the cost? If it is used to produce assessable income (i.e. for work related activities) a claim could be made. You should keep a log of work related use for a period of at least four weeks to determine the proportion that you can claim. I have had to pay for child care during the year. Is this claimable on my tax return? Child care expenses are not claimable as a tax deduction. Eligible taxpayers may be able to claim the Child Care Tax Rebate (CCTR) through the Family Assistance Office. I buy tea towels or raffle tickets from a charity each year when they ring me. Can I claim this as a deduction? You cannot claim a deduction for this because it is not a donation to the charity; rather you are receiving something for your money. Buying an item from a charity does not make your purchase tax deductible. Only donations to registered charities are tax deductible. Is there a limit on how much I can claim as a tax deduction each year? There is no limit on the amount claimed each year, provided the expenses are necessarily incurred in earning your income. The expenditure must be work related and you may need receipts to substantiate the expenditure. Keeping incomplete, incorrect or no records at all may be limiting your ability to claim deductions. Tax Today spend our off season researching ways to get you the best possible tax deduction. How long do I need to keep my receipts? Documentary evidence should be kept for five years from the date of lodgement of the tax return in which the claims are made. If you are depreciating an asset the receipt should be kept until the item is fully depreciated (even if over 5 years). Can I claim fees paid to my tax agent? 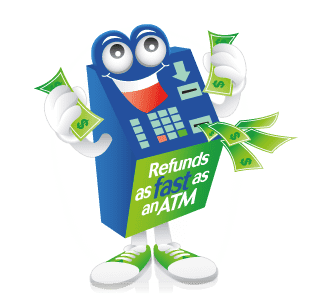 Fees paid to a registered tax agent for preparation of your return, amendments and generally handling your tax matters are all deductible. You can also claim travel to your registered tax agent (you are limited per income tax return to 5,000km in total across the entire return if claiming the c/km method). Registered tax agents are the only people legally able to receive payment for the preparation of tax returns.